Work sites need tidying at all stages of a building project to maintain a safe and clean work environment; properties being renovated also need clearing so that work can progress. Our rubbish removal service helps Brisbane builders and renovators save time and effort by looking after the whole clean up job at the beginning, middle or end of a project. It really is as simple as calling us to arrange a convenient time and pointing us to what needs to be cleared away. Our large truck will be loaded up with all the rubbish and we will dispose of it efficiently and responsibly. We do all the lifting, loading, clearing and tidying, while you get on with the main job at hand – and what’s more, we’re available 7 days a week. 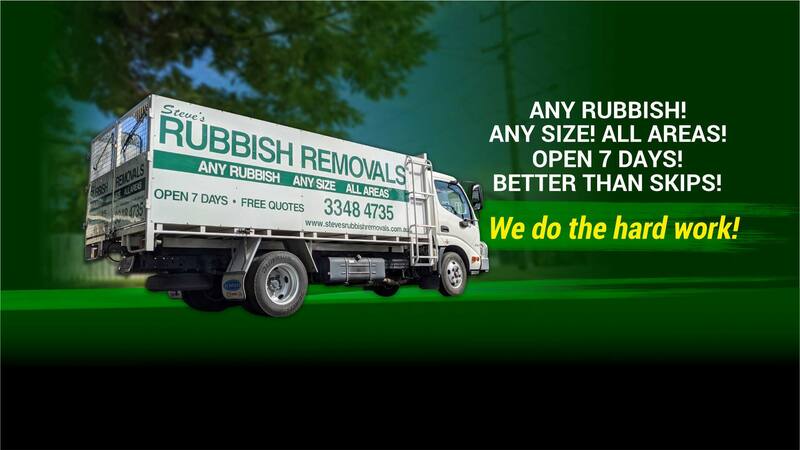 Our rubbish removal service covers the whole of Brisbane and the immediate surrounds. There’s no need to ever hire a skip again to remove your waste. We have over a decade’s experience in removing the city’s rubbish – let us do the same for your work site.